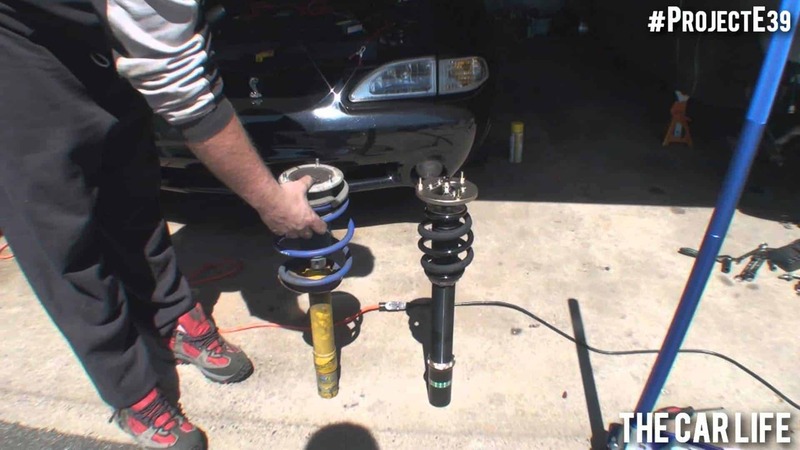 Improving your car’s handling can be done in several ways, one of which would be through the installation of coilovers. In case you do not know, the latter is a coil spring that sits over a shock. It comes with a spring, which is the one that is responsible for supporting your vehicle’s weight. The shock, on the other hand, controls the motion of the spring. If you want to know how to install coilovers in your car, keep on reading the rest of this post and you will find out. It is not a straightforward task and can even take some time. However, it is possible to do it in your garage instead of paying a mechanic to do so. You can use a helping hand to make things easier for you. The first thing that you have to do is to position your car on a flat surface. Work in an open space with ample lighting so that you can easily do the installation of the coilovers. Also, you have to take a measurement of all four corners. Measure from the center of the wheel through the bottom of the fender. Be sure to take note of the measurements so that you will not forget about it. Jack up the car so that you will be able to access what is underneath. Jack it up to the height you are most comfortable working with. Shake the vehicle just to be sure that it is already stable. At this point, you will have complete access to your suspension, ready to move on to the next step. Remove the top and bottom bolts that support the caliper Once the caliper is released, place the caliper on the top of a bucket. Remove the brake rotor. After the caliper and the rotor, remove the sway bar. Start by removing the bolt and the bushing before you can access the sway bar. Remove the bolts that support the strut, but make sure there is support on the bottom. The strut and the knuckle can be separated at this point. As it is shown in the video above, you will have first to remove the stock strut mount. In the car model shown in the video, there are also rivets, which you can remove using a drill. Separate the camber caster plate. The bottom part goes on the bottom of the strut tower and another part should be placed on the top. Tighten the bolts and nuts until the plate is finally installed. The coil spring is the final component that you have to remove before the installation of the new coilover. This is one thing that you need to do with caution. If you do it the wrong way, the pressure will send the spring to your body. Do this slowly to prevent the possibility of suffering from an injury. After the removal of the spring, you can now proceed to the installation of the coilover. Get the coilover and push it until it reaches the top of the camber caster plate. Place the washer and the nut on the top part of the plate. Tighten the nut and at this point, the coilover is already in its position. Raise the knuckle and connect the coilover. Apply a medium strength thread-locker on the top and bottom bolts before they are tightened, which will help to strengthen the bond. This will prevent the components from loosening up despite the vibration that is produced by the car. Tighten the sway bar end links. Now, work on the top part. Adjust the position of the camber as desired. Tighten the bolts at 40 foot-pounds. Mark the bolt and the stud to have a point of reference in making sure that the two are aligned. If they are ever no longer aligned, all that you have to do is to make a quick adjustment. Once the plate is installed, bring back the brake rotor, slide the caliper, and tighten the bolts. Torque the bolts at 295 foot-pounds. You should pay attention to the coilovers that you are buying. Take the time to read reviews from other people so that you will know how one product is better than all others. Pay attention to the materials that are used to be sure that they have premium construction. In some cases, removing the nuts and bolts will be a difficult task. If you are ever confronted with such a problem, all that you need to do is to apply oil or a penetrating spray. This is going to provide the lubrication that is needed for ease of removal. While bearings and bushings can be reused, it will be better to have them replaced with new ones if the quality is already deteriorating. As recommended by the experts, it will be good to change your bushings when the car has already run a distance of 140,000 miles. After installation, see to it that the coilovers will be well-maintained to keep their peak performance and make them long-lasting. Putting an anti-seize can be a good idea, which will be effective in the prevention of corrosion. The threads should also be cleaned and reapplied whenever it is necessary. With the things mentioned above, I hope that you have learned a thing or two about how to install coilovers in your car. It can be time-consuming, but it can be done without the need to pay for the services of the pro. 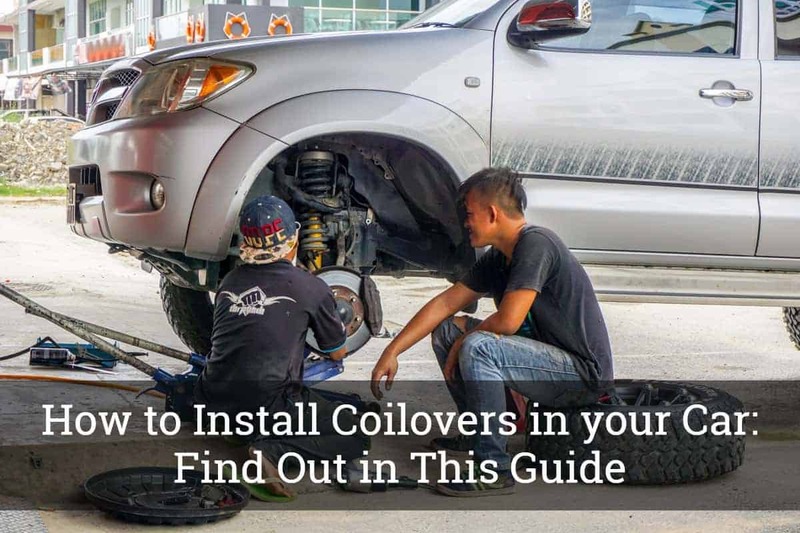 More than knowing how to do it right, another important thing that you should do is to choose only a coilover that is reflective of top-notch quality.